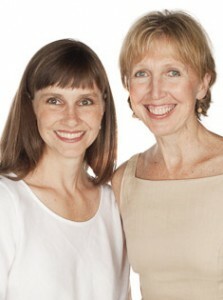 NaturoKits was founded by two naturopathic physicians who are also moms. Julie Verfurth, ND and Padeen Quinn, ND both have a passion for their families and the natural world’s potential for healing. They have gathered naturopathic remedies they felt are essential for healthy families and have packaged them so that they are easy to use. The resulting Basic First Aid NaturoKit provides families and individuals with what they need to treat every day bumps and bruises. NaturoKits is based out of Portland, Oregon, and the women have made a commitment to sustainability while they grow their business. They use manufacturers that are from the Pacific Northwest, and the ingredients in their kits are cultivated from locally available plants, like the Columbia River Gorge Flower that is used to make the “Crisis Calm” flower essence in the kit. Their information and instructions are printed on post-consumer recycled paper with soy inks. The electricity they use to run their business is supplied by wind power, and the beautiful and practical bags that hold the kits are made from cotton and are printed locally in Portland. Their blog is entertaining and informative. A particularly enjoyable entry from Padeen outlines how her oldest son has employed his Basic First Aid NaturoKit. One might cringe when she talks of crushed fingers and tailbone injuries, but she remains calm in her description of these events because he had his naturopathic remedies to aid him during his adventures. The ladies also offer a newsletter with announcements, promotions and events that you can sign up to receive on their website. The company offers two pre-packaged kits: a Basic First Aid NaturoKit and a Mini First Aid Kit. They also offer refills for each kit on the website. Both kits come with full instructions for use, a detailed description of each remedy, an alphabetical list of conditions, and an attractive cotton bag. The bag is designed to allow you to include some of your own basic first aid supplies like bandages, cotton swabs and the like, which are not included (they do have a list of suggestions to add to your kit). This is the comprehensive kit that contains remedies and instructions for treating the most common minor injuries. It is small enough that you can toss it into a beach bag or backpack and have your own mobile naturopathic medicine cabinet. There are nine natural remedies included in the kit. The kit is designed to give you the confidence and information to treat minor injuries until you are able to seek the appropriate medical care. This is the smaller version of the Basic First Aid Kit. It contains three of the most essential naturopathic remedies. With this kit you are able to treat conditions such as intestinal upsets, bumps and bruises, and minor skin conditions. 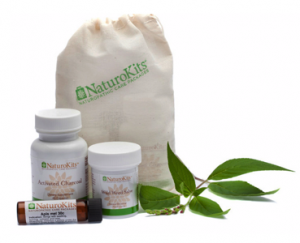 This kit is helpful for the beginner, who is looking to ease themselves into naturopathic medicine. If you decide that you wish you had purchased the Basic First Aid Kit, you are able to purchase an upgrade and the other six remedies, more comprehensive instructions, and the larger cotton bag will be sent to you. Single refills are available on the website to replenish your kit as you use the remedies. Refills range in price from $6 – $12. Refills are the same full size you purchased in your kit. 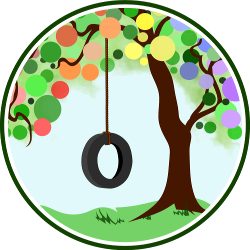 Just for Natural Parent Network readers, NaturoKits is providing a discount code for 10% off your purchase. Just use the code DCNPN anytime between June 26th and July 17th. Disclosure: NaturoKits is an advertising sponsor. Shannon R writes at The Artful Mama and is Co-editor of NPN’s Reviews and Giveaways. She writes about her choices in natural parenting as a working parent to a toddler and new baby.